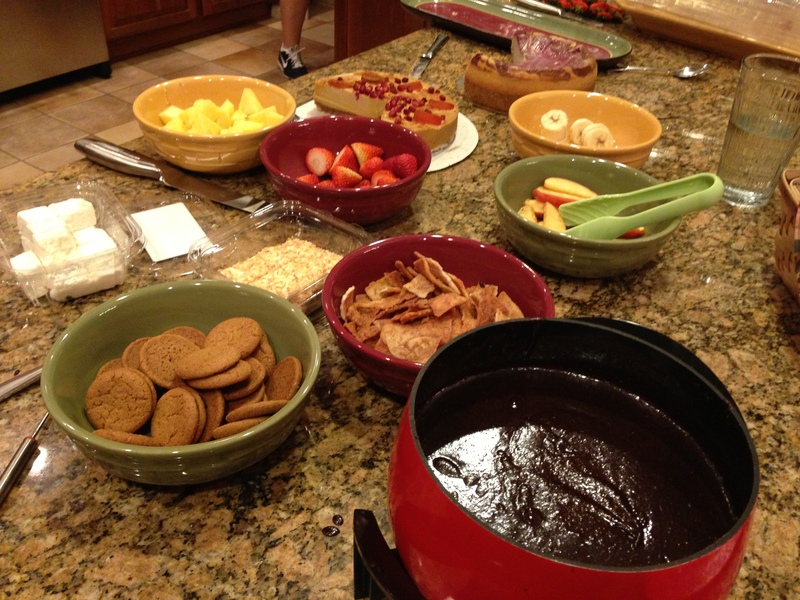 I grew up with this chocolate fondue, and I wouldn’t change a thing. It’s so easy and fool-proof. Other than fruit, my favorite dippers were the vegan toasted coconut marshmallows by Sweet & Sara. Double yum! We also tried the plain vanilla marshmallows but they stuck together, and not many of us were patient enough to pull them apart to dip in the chocolate! And if you are between Sweet & Sara and Dandies brands, I suggest you try Sweet & Sara. They have a more homemade taste. In a large saucepan over medium low heat, melt the chocolate chips and sugar with the almond milk, stirring constantly. Add peanut butter and stir frequently until warm. Add to fondue pot! *Look for a peanut butter that has one ingredient: peanuts! I like the one from Trader Joe’s. Also, this is a great time to use crunchy peanut butter. Just about everything I made from Miyoko Schinner’s book Artisan Vegan Cheese worked out beautifully for our fondue party. I wanted to try as much as possible, so I even threw in a couple appetizers and a dessert. A patient human being and cultured vegan cheeses go very well together. 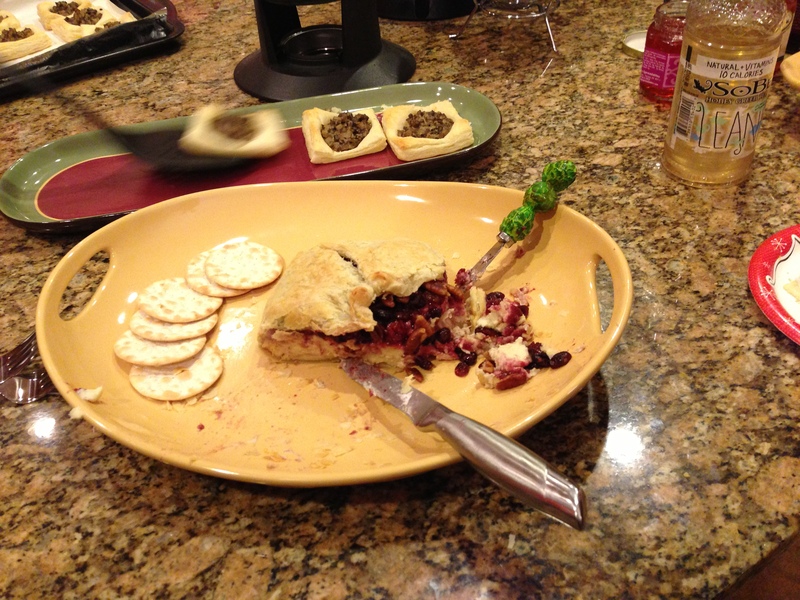 Pictured below is the Brie (p.12). 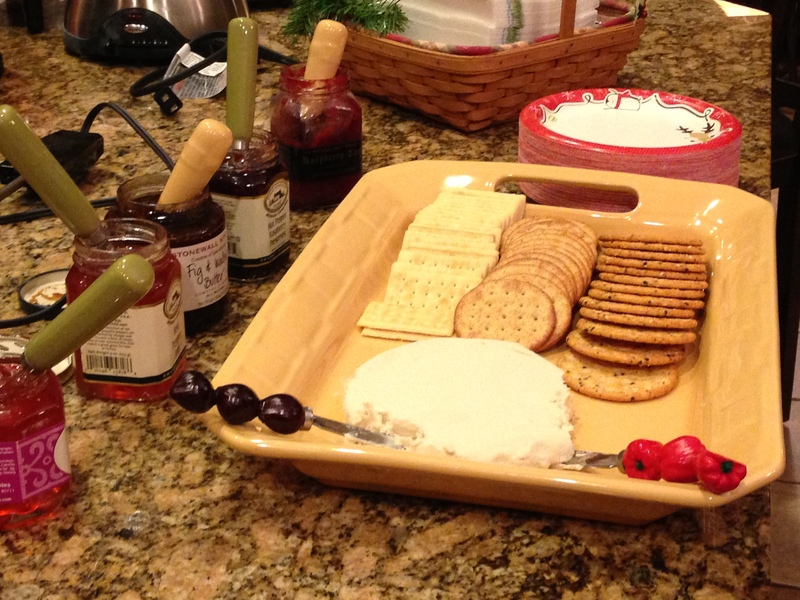 I wouldn’t say it tasted like brie on its own, but it worked perfectly as a replacement spread for jam and crackers. It was a pretty thin round… when I made the brie, I thought it should have been poured into one 6-inch round and not two, but the small height actually worked out great for this context. And I still have another round to save for another occasion. 🙂 I served it with raspberry jam, hot pepper raspberry jam, fig and walnut butter, red chili jam, and prickly pear champagne jelly. Gruyere (Hard Gruyere, p. 13): Very authentic taste! Perfect for fondue. I used the fondue recipe from p. 65 and it worked out great (the recipe is on Miyoko’s blog here… I only used half the wine for kid-friendliness and added more water). I recommend making roasted Brussels sprouts to dip into this cheese. 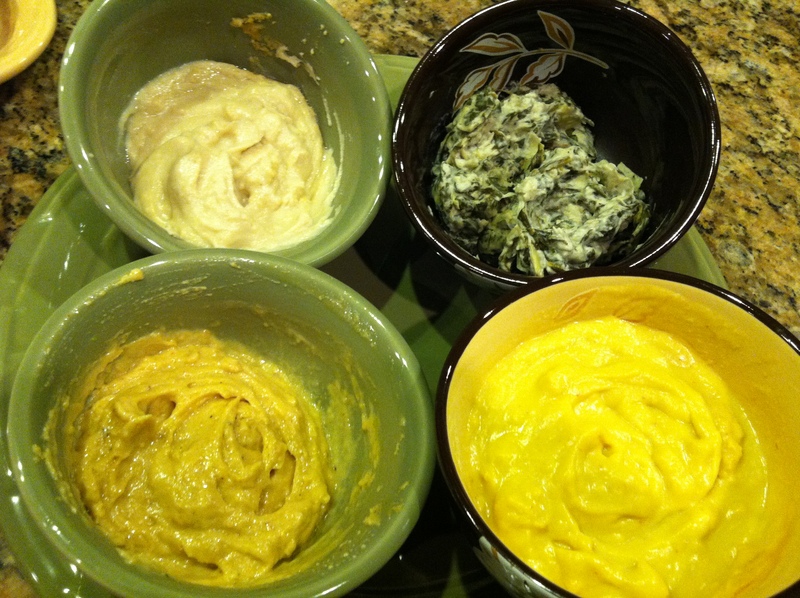 Spinach Artichoke (used Cashew Cream Cheese, p. 20). 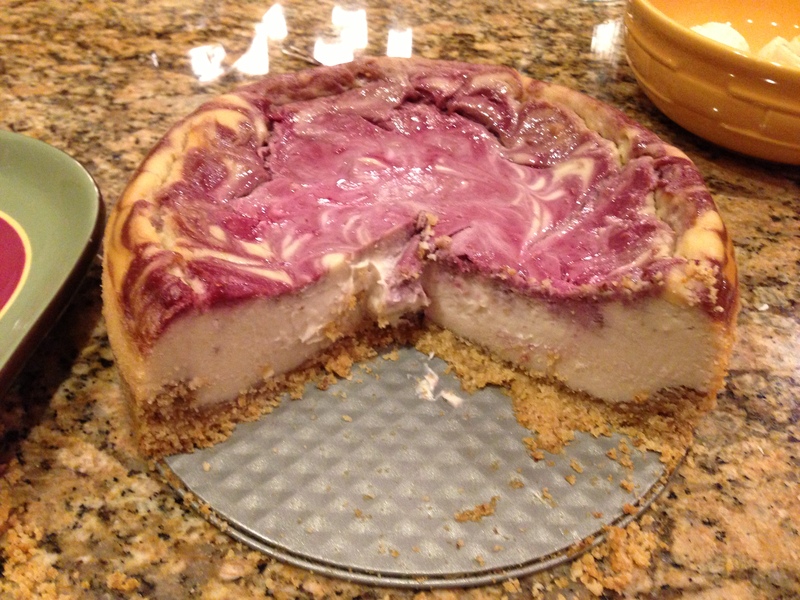 For full details and a recipe click here! Chipotle Queso (Low-Fat Chipotle Cheese Sauce, p. 63 or on Miyoko’s blog here): I have made this before and there is a reason for it! This queso is slightly sweet, smoky, and a crowd-pleaser. It tastes best with homemade tortilla chips, but for the sake of time, we used store-bought this time around. 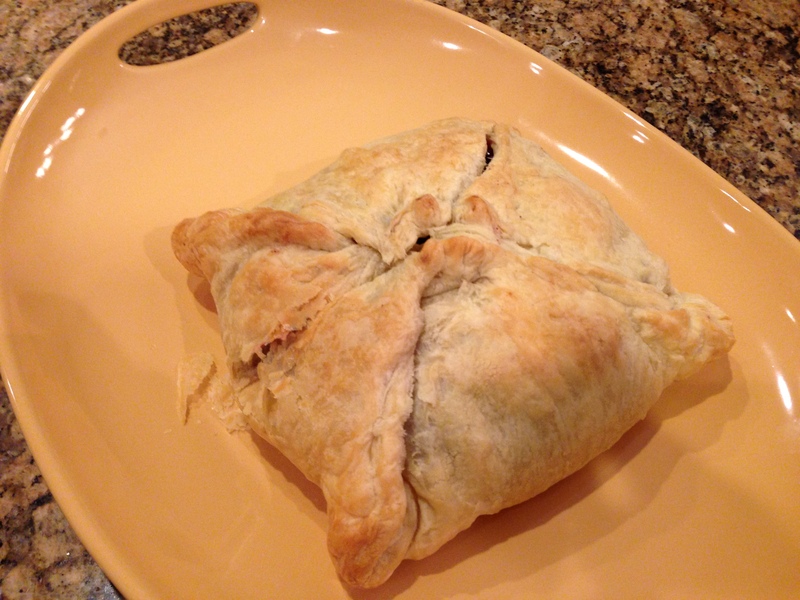 Sharp Cheddar (Sharp Cheddar, p. 14): I would really like to encourage people who make this recipe to be patient. I cultured this cheese in Arizona for 36 hours, so in colder climates realize it could take 4-5 days. I tasted it everyday and the nutritional yeast flavor does go away and it really does taste like a sharp cheddar. I melted it with some almond milk and it was perfect. And please take my advice and buy some soft pretzel rolls for this one. You won’t regret it! thanks to kelli for her awesome instagram of the spread! Before I went vegan there was one sandwich I was particularly particular about! My grilled cheese always involved the overly processed American cheese. It always involved two slices of bread that were buttered on one side and then grilled on a frying pan. The only healthy part of my sandwich was my switch to whole wheat as I got older. So when I saw the quick-to-put-together Oat American Cheese (p.50) in Miyoko’s book, I had to try it. In the picture below, the Oat American is on the right, and the leftover cheese from my Sharp Cheddar fondue is on the left. Clearly, the American on the right is more attractive. But I have to say I prefer the taste and texture of the Sharp Cheddar on the left. The Oat American has a lot of flavor (much more so than the dairy counterpart), but is a little too “nutritional yeast-y” to me. I included the oil in the recipe, and thought it was a little too drippy (I may have melted it too much). And while I give kudos to Miyoko’s Sharp Cheddar, I still have to say for grilled cheese, my favorite involves the sauce from Veg News’ mac and cheese recipe (click here to see my modified version for grilled cheese). Probably because it’s not trying to be anything but a delicious sauce. Well there ya go! Miyoko’s book has clearly inspired me and blown me away with what’s possible in vegan cuisine. The cheddar, gruyere, and swiss flavors blew me away with their authenticity without tasting fake, processed, or chemical-ish. And both bries will be a regular part of my holiday repertoire. The vegan community likes to debate the whole realm of “fake foods” or “imitative foods” vs. whole foods as grown… and I feel like I have a foot on each side of the debate. If you can create an alternative to dairy or meat that is delicious enough to make someone think that veganism is possible for them, then I think it’s worth serving. Do I generally admire people more for creating something new with the variety of vegetables we have to choose from? Yes… but sometimes having an alternative helps people make the switch. So let’s focus on the big picture. What you see in this post is a holiday meal, not an everyday meal. It’s a fun experiment, not a lifestyle. And I think we should be thankful for people like Miyoko Schinner who are willing to test recipes and spend a fortune on cashews so we don’t have to!